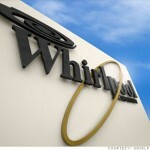 Home appliance company Whirlpool knows how to conduct business. For the third year in a row, Whirlpool has won the honor of ranking highly on Fortune Magazine’s World’s Most Admired Companies list. The appliance manufacturer finished first in the Home Equipment, Furnishings industry. Whirlpool ranked highest when it came to people management, quality of management, and global competitiveness. The home appliance giant outranked companies such as Tupperware and Rubbermaid. With its first-place rank, the company sits alongside the winners of Fortune’s other industry divisions: Nike, Apple, IBM, and Google. This isn’t the first time Whirlpool Corporation has been recognized for its great record of responsible business. In 2012, the company was named one of Corporate Responsibility Magazine’s 100 Best Corporate Citizens for the tenth consecutive year. Last year, Whirlpool was also one of the Most Respected U.S. Companies by Forbes for the fifth year, and awarded the 2012 ENERGY STAR® Sustained Excellence award by the U.S. Environmental Protection Agency for the seventh straight year.